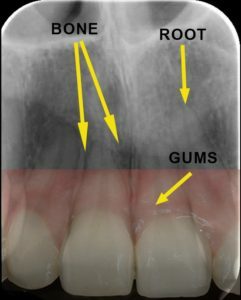 Our teeth are kept in place by the surroundinggums and bone. Both of these structures are important for keeping our teeth throughout our lifetime and therefore should be kept very healthy. Our Periodontist, Dimitra Tsarouchi explains all. Gum disease is caused by plaque bacteria. This is a thin milky white film that develops around our teeth when we haven’t brushed for few of hours. When plaque is allowed to accumulate around teeth it causes gum inflammation. In susceptible individuals this inflammation, over time moves deeper into the bone causing it to dissolve. Bleeding spontaneously or on brushing is your body’s response to bacteria. Blood vessels bring blood cells to areas of your body which require repair or are fighting bacteria. 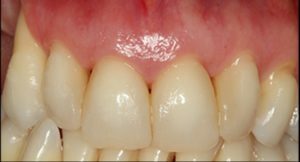 Contrary to what patients think, bleeding gums are not because you have traumatised them. It’s your body’s way of letting you know you need to brush more effectively in this area. 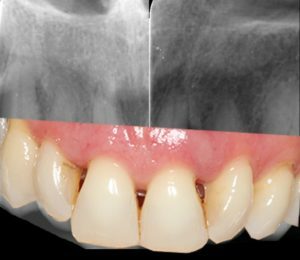 Once the gums and bone become irritated they start to dissolve away from the tooth, leaving spaces in between the teeth. 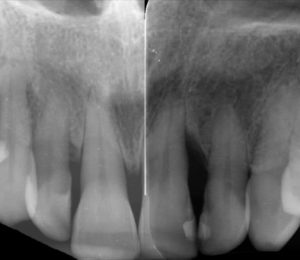 As a result of the bone moving away, the teeth become unstable and start moving and drifting apart. HOW CAN I PREVENT OR IMPROVE? Having an efficient daily hygiene routine is very important for preventing gum disease. Every person is unique and at K Dental Studios we can help you develop ways of keeping your teeth clean based on your individual needs. An important part of prevention, is seeing your dentist, in order for them to check your gums as part of your routine dental check – ups. If your dentist detects signs of gum disease developing, then you would benefit from specialist periodontal treatment. It is also very important to see you dentist of hygienist regularly, in order to remove any deposits that build up over time. A Periodontist will conduct a thorough assessment of your gum status, and put together a personalised treatment plan aiming at stabilising the disease. 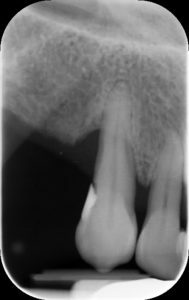 Once periodontitis is stable, a maintenance regime is implemented in order to prevent recurrence. 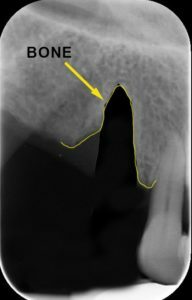 Once the bone is lost from around the roots of the teeth it is not possible to built it back up in the majority of cases. Therefore, it’s very important to address periodontal disease, in order to reduce the risk of losing teeth prematurely. WHAT IF I LOSE TEETH DU TO GUM DISEASE? 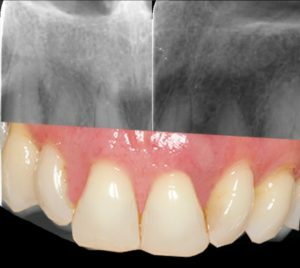 Many people think that it is always possible to replace a lost tooth with a dental implant. 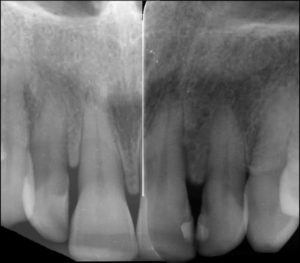 However, in cases of severe periodontitis, this may not be feasible due to the lack of bone. 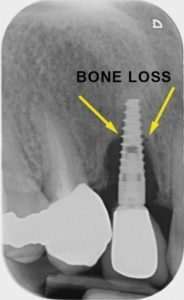 In addition, in those cases where dental implants can be placed, a similar disease process can develop around the implants, leading to bone loss and eventually jeopardising them. Therefore, maintaining our natural teeth in a functional state for as long as possible is nowadays the gold standard of treatment. 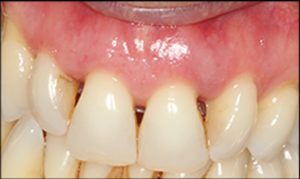 At K Dental Studios, once gum disease is stabilised, we have a group of experts that can help improve the aesthetics of your smile and your functional ability in order to compensate for any side effects of the disease process. For any questions about gum disease speak to our dentists who will be more than happy to assist you. For a consultation call (0207 637 8484) or email us for more information.